Spring is here and everyone is looking to get their windows cleaned. If you’re having troubles finding a window washing Tulsa company that is available to clean your windows, here are some tips. First and foremost, you should know up front that this is going to take a long time. You might have to devote a full day or two depending on how many windows you have. In fact, after the first couple hours of cleaning your windows, you are going to wish you would have just hired a professional. Hiring a window washing Tulsa based company can be hard this time of year though. Everybody tends to want to get their windows washed at the same time. For this reason, window washing companies schedules tend to fill up fast during spring months. If you’re wanting to get your windows washed for spring, you should call in February/March. We will start off the window washing Tulsa spring cleaning tips with how to clean the glass portion. Arguably, this is the most important part of the window cleaning process. When someone hires at your window washing company to clean their windows, what they are really wanting is a clear view. By and large, this is why most people call a professional window washing company. It is important to also clean the window sills, tracks, and screens. However, the glass is probably the most important part so that’s what we’ll talk about first. You’ll want to start off with some kind of scrubbing material. For example, you might use a professional strip washer or a sponge. Dip your scrubbing material in soapy water. At this point, you will want to scrub down the glass thoroughly. Finally, you will want to squeegee off the soapy water. Let’s discuss how to properly clean your window frames. Here at gleaming glass, we like to give them a quick scrub while we wash down the glass. It’s really easy to do on the exterior windows with our water fed Pole. In fact, just by scrubbing the glass the window frames tend to get scrubbed as well. With into your windows, window frames are a different story. We don’t have the luxury of using a water fed pole on the interior windows. Furthermore, it’s important to not use too much soapy water on the inside of the house. If you’re cleaning the windows yourself and you are not using a strip washer, just use a paper towel. As a matter of fact, go ahead and grab a whole roll of paper towels. You will probably need to use one paper towel per window. You will find that after you squeegee off the soapy water from the glass, water will drip onto the windowsill. If you have a wood window sill or painted wood, it is important to get the soapy water off fast. If you leave the soapy water to dry on the wood window sill it will stain the wood. This thing won’t look like a normal stain. It will just look like a spot on your wood window sill that never dries. It kind of has a wet look to it. To prevent this from happening, we like to squeegee with one hand and hold a towel in the other hand. As we squeegee the glass, we follow behind on the window sill below with the towel. Another solution to this is to lay down a paper towel before you begin cleaning the glass. Then simply wipe it up. At least for window washing Tulsa companies, cleaning out window tracks can be very dirty. Upon opening a window you will find all sorts of dead bug carcasses and dirt in the tracks. Window washing Tulsa technicians prefer to vacuum all of this debris out with a Shop-Vac. If you were to just use a paper towel or a wet towel to wipe this up, it would be very messy. In fact, it wouldn’t be effective at all. In any case, the best thing you can do is vacuum it up first. Afterward, there will still be some dirt clog in the corners of the tracks. To get all of the dirt out of these tight corners in crevices, use a screwdriver. We recommend a flat head screwdriver in addition to a blue Huck towel. Place the flat head screwdriver in the towel and jam it into the crevices. Cleaning the screens on your windows can be tricky. It still tricky for professional window cleaners in the Tulsa area. We have found that the best way to clean screens is to pressure wash them. It’s important to use a pressure washing tip that isn’t very aggressive. For instance, we recommend using the 40 degree or 45 degree tip. Using a wider degree tip forces the water to spread out more, and not damage your screens. Ironically, screens are pretty fragile especially when exposed to sunlight all day. Strangely enough though, pressure washing screens will not damage them. People tend to have this idea that pressure washers are powerful and can damage fragile materials. This is not the case though if you use the proper pressure washing tip. All you have to do is pressure wash the screen back and forth. By the same token, flip it over. At this point, you are probably wishing you had just hired a professional window washer in the first place. After cleaning your glass, window frames, and window sills you will have probably invested six to eight hours. Another angle to consider his your windows probably don’t look as good. Arguably, your windows would look much better if you had just hired a professional window washing Tulsa company. Consequently, you will probably hate yourself for not hiring a window cleaning company. If your wife told you to just hire a company but you wanted to do it yourself to save money, you are probably regretting it. Now you have wasted a whole day trying to clean your windows and it didn’t even work. For this reason, your wife is not mad at you for not hiring me window cleaner in the first place. By the same token, you are mad. Next, let’s talk about how much you can expect to pay to hire a window washing company. Presently, there is no standard pricing for the window cleaning industry in price is objective. As a matter of fact, pricing for window cleaning can range greatly buy hundreds of dollars. For example, here in the Tulsa window washing market, you can expect to pay between $6 and $10 per window pane. Some guys charge that much for interior and exterior window cleaning services. Here at gleaming glass, we offer into your pricing and exterior pricing for free on our website. You can get an instant quote just by telling us how many window panes you have. In fact, you can do it all on her website in under 5 minutes if you know how many windows you have. You will then be given a price for exterior only and interior in addition. Along with the aesthetic benefits of hiring a professional window cleaner, there are also time-saving benefits. Not only will your windows look better, your home will feel more clean. At the same time, you will have saved several hours by hiring a professional window washing company. In addition, think about how much your time is worth to you. If you make $50 an hour at work, that’s how much your time is worth at home. Instead of spending time cleaning your windows, you could have been making $50 an hour. Instead, you’re wasting your weekend cleaning windows. Not only will you experience time-saving benefits, think about how much more time you’ll be able to spend with your family. Maybe, your kids have a soccer or baseball game on the weekend. Arguably, that’s a much better way to spend your time rather than cleaning your home’s windows. Everybody loves that clean feeling around spring time after they have just clean your windows. Customers of gleaming glass know exactly what we’re talking about. Many of our customers are set up on a window cleaning schedule where they get their windows cleaned every spring. These customers never have to worry about whether or not we will have room in our schedule. They are already automatically on it and they have first come first serve. If you call up other window cleaning companies, there’s a good chance they will turn you down. They won’t give you priority in their schedule like gleaming glass does. If you are a regular customer of ours you can always expect to be on our schedule when spring rolls around. 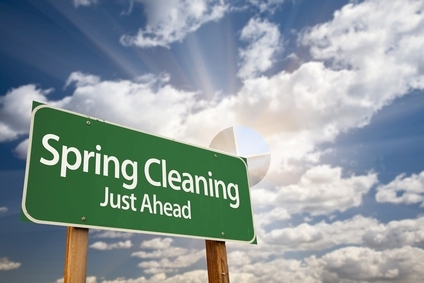 You won’t have to frantically search for a tulsa window cleaning company at the last minute right before spring. Gleaming glass is worry-free.